If you are looking for real estate in an up-and-coming area with an easy commute to downtown Atlanta, take a look at the West Highlands area. The community is located northwest of the city, and has started to catch the eyes of business professionals and families, alike. 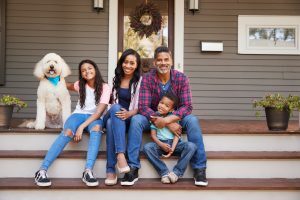 The community is perfect for residents who want to live in a peaceful neighborhood with a small-town feel, yet need to be in Atlanta in a matter of minutes. The homes in West Highland are diverse, and include new construction neighborhoods, townhomes and apartments. The area is in the process of growing, changing and improving, and there is something for everyone in West Highland. There are more than 3,200 residents living in the West Highland area, and the median age is 28 – slightly younger than the median age of Atlanta residents at 33. Most residents have high school diplomas or have completed some college, and over 90 percent of the population in this neighborhood is African-American. The median household income for West Highlands residents is $26,419. Over 70 percent of residents rent properties, and do not own their own homes. Columbia Crest: Four-story craftsman-style buildings with stone accents house 1, 2 and 3 bedroom apartments. The community features a pool, a playground, a business center and a fitness center. Columbia Estates: One and 2 bedroom apartments here may include a one story or two-story floor plan with walk-in closets. This community offers a pool, fitness center, gazebo and playground. Columbia Grove: Here, you will find three- and four-story apartment rentals that are contemporary and stylish. The community includes basketball courts, 24-hour maintenance service, a fitness center and a laundry room. Columbia Park Citi: Discover three-story buildings with craftsman architecture that include 2 and 3 bedroom floor plans with simple and functional layouts. This community boasts a game room, a business center and conference facilities. Within West Highlands, senior apartments are also available to residents who are 62 years of age and older. Columbia Heritage offers 2 bedroom units for senior residents with easy-to-navigate floor plans. The community includes a dance room, an arts and crafts room, a dining hall and a business center. The median monthly rent for properties in West Highlands is $876. Privately owned homes in the suburbs are sometimes rented out by owners. However, these for rent by owner homes are usually more expensive than apartments and can rent for $1,000 to $3,000 per month. While homes are generally more spacious than apartments, most do not offer all the features of apartment complex communities. Most residents in the area opt for cheap apartments, instead. Residents who own homes usually live in single family traditional and craftsman-style houses. The median home sales price in the area is $122,118, but is consistently increasing with the construction of modern homes and townhomes. New construction is abundant in the West Highlands area, and a new townhome community by Brock Built called Townhomes at West Highlands is currently under construction. A new executive homes community is also being built by the company, and homes in the new community start at over $400k. In addition to apartment rentals that boast move in specials and pet friendly options and The West Highlands area is known for its greenspace and beautiful walking, jogging and biking trails. The neighborhood features Heman E. Perry Park, which includes trails, a playground and picnic tables. Additional greenspace is being set aside by developers for future basketball courts, soccer fields, playgrounds and other amenities for residents. The Atlanta BeltLine, a series of trails that connect 45 Atlanta neighborhoods, has plans to assemble a large park just off the trail in the West Highlands. The area also offers a beautiful walking path along Proctor Creek that will be extended to reach Silver Comet Trail. When completed, active residents can take the trail all the way into downtown Centennial Olympic Park. The suburbs of West Highlands do not offer restaurant or dining options within walking distance. While the neighborhood is home to many popular walking and biking trails, most resident use their own cars to travel into neighboring West Midtown or Atlantic Station to visit local establishments. In West Midtown, residents can check out Cypress Street Pint and Plate or Sweet Hut Bakery and Café for local eats, or the Westside Provision District for shopping. Atlantic Station is home to countless shops, including Old Navy and Dillard’s, or residents can explore dining options, such as The Pig and the Pearl or endive Publik House. The Metropolitan Atlanta Rapid Transit Authority (MARTA) bus station is close to several apartment complexes in West Highlands. The MARTA is a bus and train line that offers several routes in and around Atlanta to connect communities to the downtown area. The MARTA bus station is on Perry Boulevard at West Highlands Boulevard and passengers can pick up Bus Route 26 at this location. This route runs north and south and ultimately takes travelers to Bankhead Station or 5 Points Station. At these stations, passengers can transfer to the train line into downtown or into other communities. Although these public schools have low ratings, there are also private school options available. Children residing in West Highlands homes can attend The Howard School or Whitefield Academy – both private schools. Both property and personal crime ratings in West Highland are ranked less than average when compared to other Atlanta neighborhoods. Most crimes are concentrated in the northwest quadrant of the neighborhood, near Carver Hills.